5.2 Earthquake hits Chiapas, Mexico. 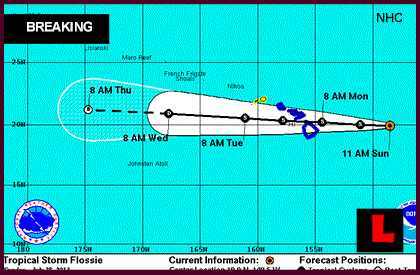 Tropical depression Flossie is located about about 145 mi (230 km) NW of Hilo, Hawaii. All tropical storm warnings have been discontinued. Tropical storm force wind gusts were possible overnight. Locally gusty winds will likely continue on Tuesday over the central and Western Islands. Forecasters say Tropical Storm Gil has formed in the Pacific, far off the southern tip of California. Extremely heavy rains have caused flood damage in Calder Valley and Todmorden, West Yorkshire. 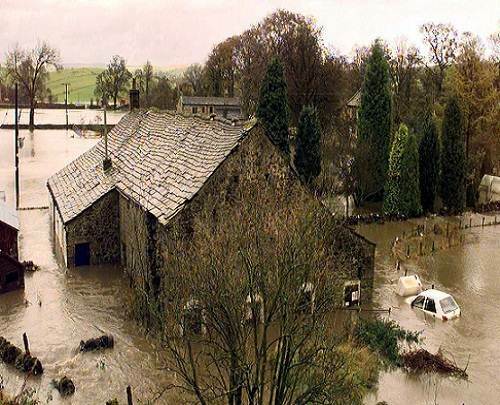 Walsden, near Todmorden in West Yorkshire, England has been hit by up to 18in (46cm) of water. The Environment Agency has issued a flood alert for the River Calder and its tributaries from Todmorden to Brighouse. On the other side of the coin, the downpours have given relief from the heatwave that had been affecting the areas. Lightning strike in Dolakha, Nepal has claimed the life of one person and injured thirty six others. Chile and Argentina may face critical water storage issues due to rain-bearing westerly winds over South America’s Patagonian Ice-Field to moving south as a result of global warming. A reconstruction of past changes in the North and Central Patagonian Ice-field, which plays a vital role in the hydrology of the region, has revealed the ice field had suddenly contracted around 15,000 years ago after a southerly migration of westerly winds. This migration of westerly winds towards the south pole has been observed again in modern times and is expected to continue under a warming climate, likely leading to further ice declines in this area affecting seasonal water storage. The North Patagonian Ice-field is vital to maintain seasonal water storage capacity for Argentina and Chile. “Worryingly, this study suggests the region may well be on a trajectory of irreversible change, which will have profound impacts on agriculture and the increasing dependency on hydroelectric power in Chile and Argentina,” Dr Fogwill said. Firefighters continued to battle blazes across Mount Isa in Queensland yesterday with a significant fire threatening homes in Healy. In waters from Florida to the Caribbean, dolphins are showing up stranded or entangled in fishing gear with an unusual problem: They can’t hear. 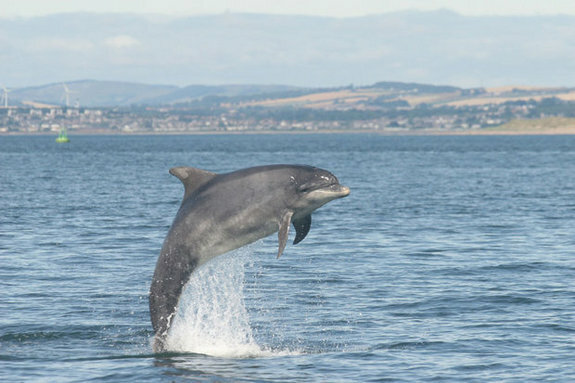 A study has found that more than half of stranded bottlenose dolphins and more than a third of stranded rough-toothed dolphins had severe hearing loss. The animals’ hearing impairment may have been a critical factor in their strandings. The causes of hearing loss in dolphins aren’t always clear, but aging, shipping noise and side effects from antibiotics could play roles. Whether the hearing loss is causing the dolphin strandings — for instance, by steering the marine mammals in the wrong direction or preventing them from finding food — remains an open question. After a quiet period, WHO has been informed of an additional laboratory-confirmed case of Middle East respiratory syndrome coronavirus (MERS-CoV) infection in Saudi Arabia. Honduras’ government has declared a state of emergency due to a dengue fever outbreak that has killed 16 people and sickened 12,000. Dengue causes high fever, joint pains and nausea. In severe cases, it can lead to internal bleeding, liver enlargement, circulatory shutdown and death. 5.1 Earthquake hits southeast of the Ryukyu Islands off Japan. Flossie’s Hawaiian adventure: Short, scattered and more powerful than many believed it would be at first. National Weather Service officials say the tropical depression is expected to exit Hawaii on Tuesday as a weakened version of the storm that prompted school and court closures and an emergency declaration from Gov. Neil Abercrombie before hitting shore. But hours after surfers caught waves on the Big Island and tourists sunbathed despite showers and overcast skies in Waikiki, Flossie made its mark on the state with widespread thunder and lightning, heavy rain and winds that knocked out power to thousands on several islands. Bad weather in Japan’s Central Alps has claimed the lives of three South Korean climbers and left another missing. The bodies of the climbers were found on routes between Mt Hoken and Mt Hinokio today. Floods in Maluku province in eastern Indonesia have claimed the lives of at least four people and left six missing. More than 1 000 people have been displaced. Tornadoes in Milan, Italy have injured at least 12 people and damaged several buildings and vehicles. One tornado hit the Grezzago area destroying several cars and overturning trucks. A violent storm hit Vaprio, Trezzo and Grezzago (Milan). A father and son from New Zealand are reported to be missing in an avalanche on K2, the second highest mountain in the world in Nepal. Rescue teams are waiting for the weather to clear. A severe hailstorm hit the German village of Wassel in Sehnte Saturday evening. The hailstones were the size of tennis balls and damaged roofs, windows and numerous vehicles. Many provinces in northern Vietnam are suffering from flooding and landslides caused by prolonged heavy rain. A wildfire raging in the Sierra National Forest in southern California since July 22 has burned through over 11,000 acres and continues on a path of destruction as firefighters continue attempts at containment. Four wildfires are actively burning in western Montana and have led to some evacuations and road and trail closures, having scorched over 36 square miles. Lightning late last week touched off dozens of fires in southwest Oregon near Glendale. Most of the small ones were contained, and some merged into larger fires that make up the Douglas Complex. Those fires have burned 21,000 acres, or nearly 33 square miles, and were just 2 percent contained as of Monday afternoon. Seventy-five houses have been evacuated and another 40 are on evacuation alert. At least 35 people have been injured, five of them seriously, in a collision between two trains in western Switzerland. The crash happened in Granges-pres-Marnand in Vaud canton, about 50km (30 miles) south-west of the capital, Bern. This is the second major train accident in Europe in less than a week. Shiveluch (Kamchatka): Activity has been elevated during the past days. Several explosions and / or dome collapse events have sent ash plumes to about 20,000 ft (6 km) elevation during the past days. Sakurajima (Kyushu, Japan): Activity remains high – explosions occur at more-than-usual frequency from the Showa crater. An eruption on 27 July produced an ash plume rising to 18,000 ft (5.7 km) altitude, i.e. an eruption plume about 4.5 km tall. Karangetang (Siau Island, Sangihe Islands, Indonesia): VSI has decreased the alert level from 3 (Siaga, Alert) (since 8 August 2011) back to 2 (Waspada, watch). No lava emissions/ejections have been observed since 7 July and seismic activity has been decreasing over the past weeks. No hot spot is visible on satellite imagery. Ambrym (Vanuatu): A seismic swarm at the volcano was detected on 26 July, but no evidence of unusual activity at the surface has been detected. The lava lakes inside Benbow and Marum remain active. White Island (New Zealand): The seismic crisis ended on 28 July with no eruption. Degassing remains elevated and incandescence is still visible from the dome in the crater. Tungurahua (Ecuador): During the past days, a further increase in activity of the volcano occurred, characterized by the generation of large explosions and a constant ash eruption column, and several small to big explosions that generated strong vibrations and rattled windows in villages near the volcano. An eruption at 07:23 (local time) on 28 July generated a small pyroclastic flow that affected the upper north and north east flank of the volcano. Constant ash emissions produce a an ash column of up to 1.5 km height, drifting westwards. Ash fell in the town of Mocha. A widely accepted theory about earthquakes has received a shakeup. A team of geologists studying the San Andreas fault near Los Angeles found that bigger earthquakes aren’t necessarily preceded by longer periods of inactivity on the fault. The going wisdom about earthquakes is that the longer a fault goes without a major earthquake, the bigger the quake will be when it finally strikes. The theory seems particularly apt for the San Andreas fault, which marks the boundary between two tectonic plates. As the Pacific plate moves northward relative to North America at about 4.5 cm per year, friction stops the fault from slipping. The longer that strain jacks up, the farther the plates will jolt when they finally let go and the larger the resulting earthquake will be. Or so the thinking went. But a group found that the theory doesn’t hold up for the segment of the fault near the southern California town of Wrightwood. The team’s analysis provided the most complete long-term record of activity for any fault in the world. And it contradicts the conventional wisdom: Shorter quiet periods of less than a century were generally followed by larger earthquakes, and longer periods of several hundred years preceded smaller quakes. Although this appears counterintuitive, the larger pattern is more logical. It appears that strain is not released entirely with each earthquake but continues to accumulate through four or five or more earthquake cycles. Finally, the strain is released by one big quake or a cluster of smaller shocks. The authors caution that they don’t know yet if the activity at the Wrightwood fault segment is typical of the entire San Andreas fault or of faults in general. But if it is, the research could change the way scientists estimate the probability of earthquakes. Tropical storm Flossie was located about 320 mi (515 km) E of Hilo, Hawaii. A Tropical Storm Warning is in effect for Hawaii County, Maui County -including the islands of Maui, Molokai, Lanai and Kahoolawe, and Oahu. Heavy rainfall was expected to begin as early as Monday morning over Hawaii County and Monday afternoon over Maui County, with heavy rain spreading to Oahu by Monday night. Flossie is expected to produce total rainfall amounts of 6 to 10 inches over The Big Island and Maui County, with isolated maximum amounts of 15 inches possible, mainly windward. Heavy rains trigger landslides in which at least two people are missing in Shimane and Yamaguchi prefectures in western Japan. Flooding near Charlotte in North Carolina, USA has claimed the lives of at least three people. The EF-1 tornado brought 100 mph winds that uprooted large trees and damaged a barn Saturday evening near Troupsburg in upstate New York, USA. A wildfire on the Island of Mallorca which started on Friday just east of the leisure port of Andratx has burned around 1,800 hectares, most of them of either pine forest or low-lying woodland. About 700 people have been evacuated due to the fire in Es Grau, Ses Tanquetes and Estellenc. About 370 firefighters, civil defense members and the military emergency unit are struggling to control the fire with the help of 24 planes and helicopters. This is believed to the worst fire on Spanish Mallorca for 15 years. New studies of hunter-gatherer societies finds that warfare is not in human nature, but is a relatively new behavior that emerged from “civilized” cultures. It is not in human nature for our species to make war, according to new research published in the journal Science. Some scholars say that humankind inherited the inclination to wage war from its closest relative the chimpanzee, which exhibits a kind of war between groups. But two researchers from Finland’s Abo Akademi University say that’s not the case and believe war developed with the rise of modern civilization, which caused conflicts over resources such as agriculture and livestock. 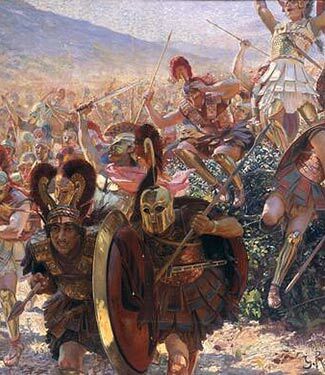 There is very little archeological evidence of war in our pre-civilized past. So the researchers looked at modern-day hunter-gatherer people without livestock or the social class divisions that developed with the rise of civilization. Only a very small number of more organized killings comparable to war were found, and almost all of them were in one of the 21 groups studied. The researchers conclude that some of the most “primitive” peoples on Earth were actually quite peaceful compared to modern, developed nations.